Schnellar-style timpani (developed by Hans Schnellar) have been used by the Royal Concertgebouw Orchestra in Amsterdam for decades, and their special design has been released by Adams - and upgraded with modern innovations - to the rest of the world. 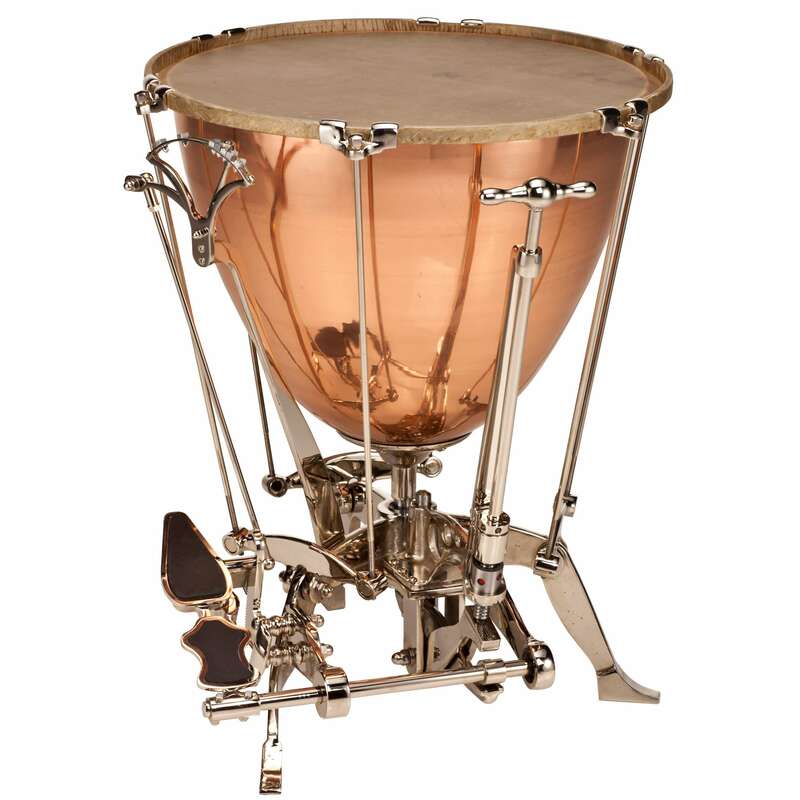 When most timpani are tuned, the process is very similar to the tuning method used on snare drums, toms, and many other drums: the tension rods pull the rim down onto the head. Schnellar timpani are very different in this regard - on these instruments, the bowl moves up against the head, while the rods and rim remain stationary. Three-Leg base: A unique base with only three legs was developed to enhance the tonal character of the unique tuning system. Claw Tension System: These claws do not change the tension on the head, which eliminates the need for a counter hoop, which in turn allows for more precise tuning. Pointed Bowls: the hand-hammered copper bowls on these instruments are more elongated than traditional timpani, giving them a unique timbre. Hand-Crank Tuning System - this crank, or kurbel in German, is manually turned by hand, which then raises or lowers the bowl. Simple, low-maintenance, and easy to finely control, this tuning system is perfect for baroque music.